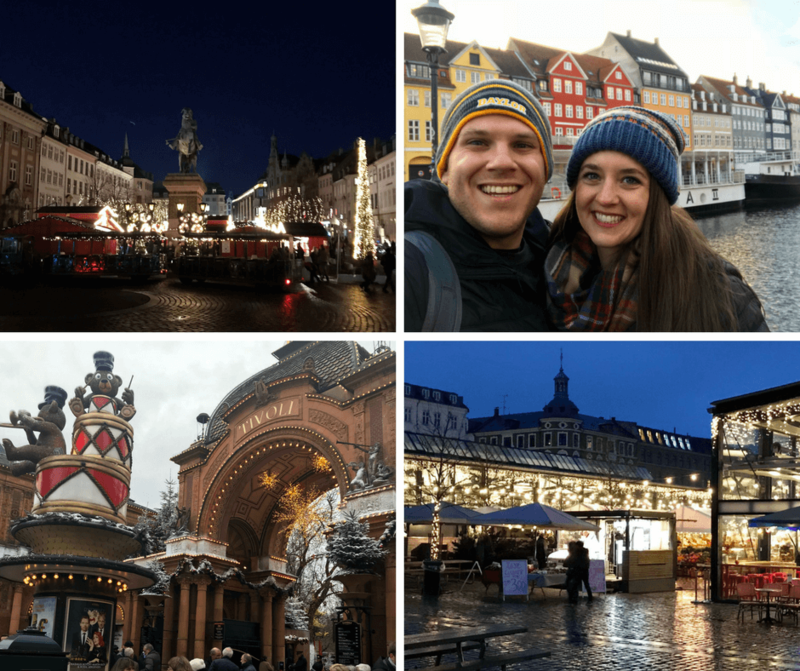 Late last night, we got back from our magical, Christmasy “babymoon” to Copenhagen! We had a fabulous time. I will definitely be sharing a future travel guide for a winter trip to Copenhagen, but here are a few highlights from the week! (1) We went to about five Christmas markets in Copenhagen. Why can’t the US take a lesson from the Europeans and have random Christmas markets pop up throughout our cities? We have been to a couple in NYC that were cute, but there is nothing like a European Christmas market. (2) Nyhavn is one of the most popular spots to snap a photo in Copenhagen. It is a colorful stretch of restaurants and shops along a canal, and to top it off, it had a Christmas market while we were there! (3) One of the most unique (and fun!) parts of our trip was an evening at Tivoli Gardens, a Danish amusement park. Y’all, this is not just like any amusement park. It is the second oldest one in the world, and it is a magical Christmas wonderland this time of year. If Santa had an amusement park on the North Pole, this is what it would be like. Every little detail of the park felt like it was taken out of a whimsical fariytale. We weren’t able to ride many rides because I’m pregnant, but we did do one adorable ride that takes you in a moving trunk through sets of fairytales by Hans Christian Andersen. There was Christmas magic around every corner! (4) We took a Christmas food tour on our first day which was mostly spent at Torvehallerne, a wonderful food market. Look how magical the market looks at night! There are many things that are not pictured, but as I mentioned, I will be sharing a travel guide to Copenhagen in the (hopefully) near future. Some additional highlights include: a visit to Juno the Bakery (which I now claim as the best bakery I’ve ever been too! ), a day trip to Frederiksborg Castle, trying all the best coffee in the city, and popping into some gorgeous Scandinavian design shops. We also had a celebratory foodie feast at Amass Restaurant. For those of you familiar with the worldwide foodie scene (and who watch Chef’s Table), Noma was unfortunately closed while we were there because it is moving to a new location, but we were told Amass, opened by the ex- head chef at Noma Matt Orlando, was almost as good. We loved the food and the experience!